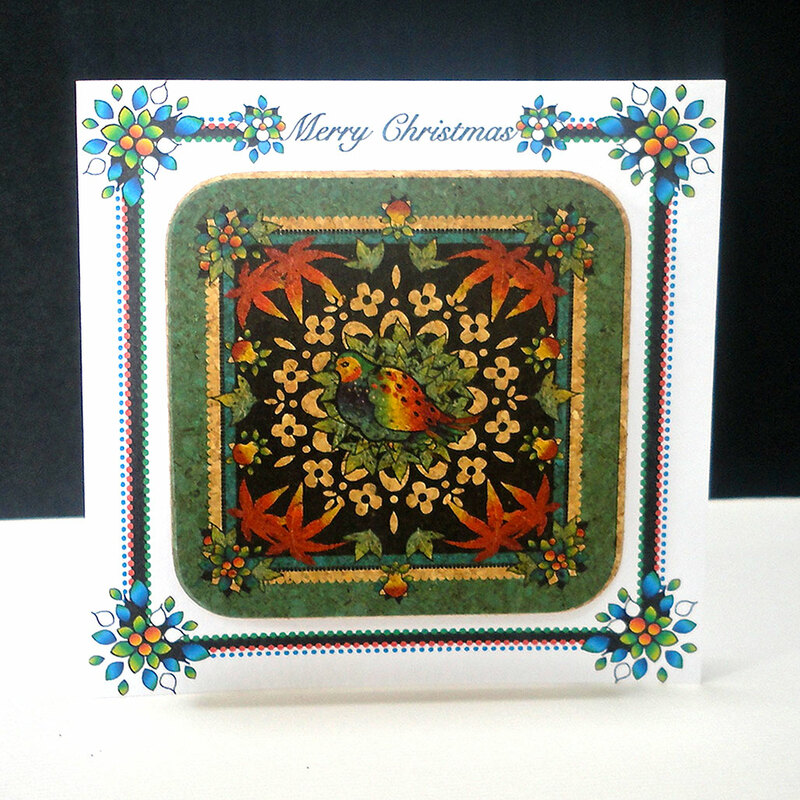 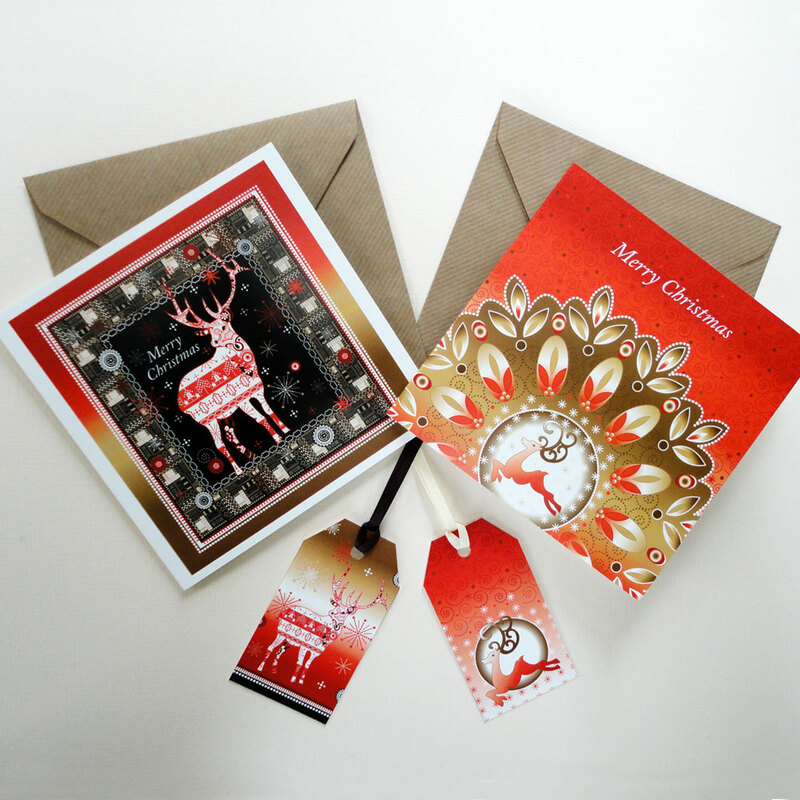 This festive little card has a design taken from my printed Partridge in a Pear Tree card. 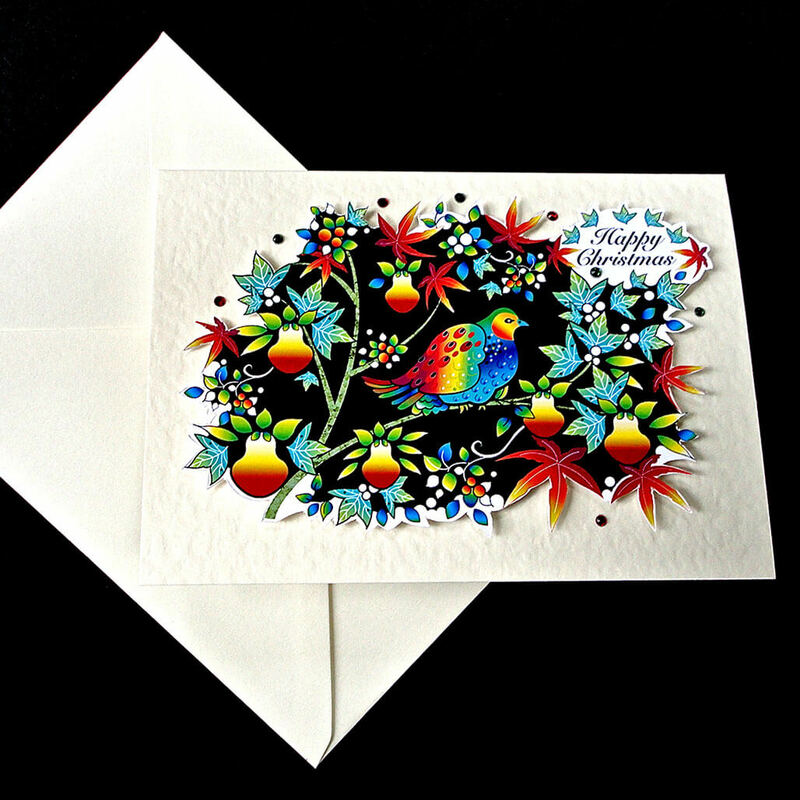 A single partridge is perched on a branch surrounded by hanging pears, ivy and berries on a black ground. 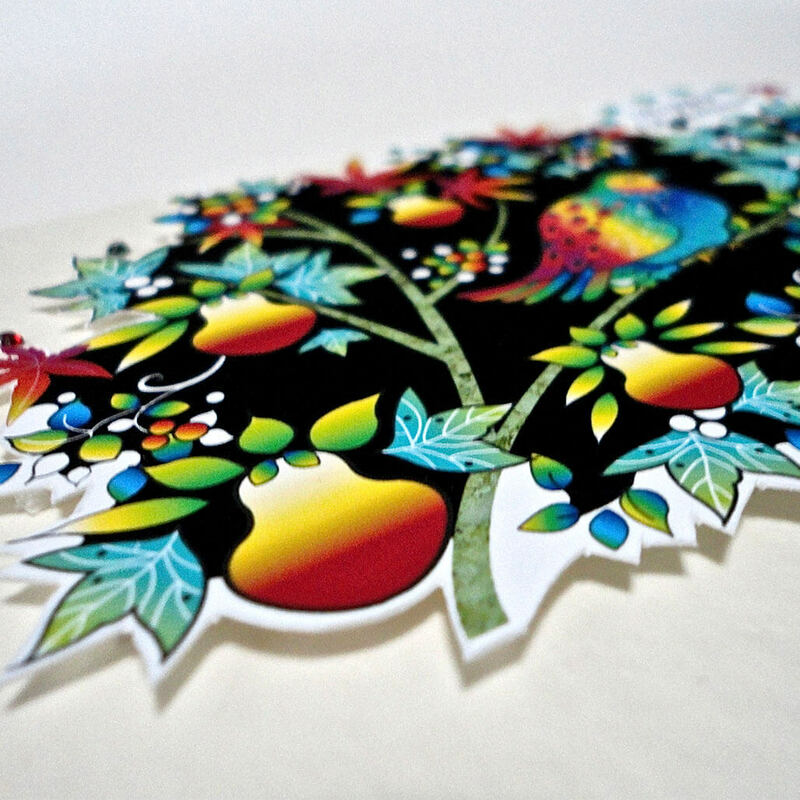 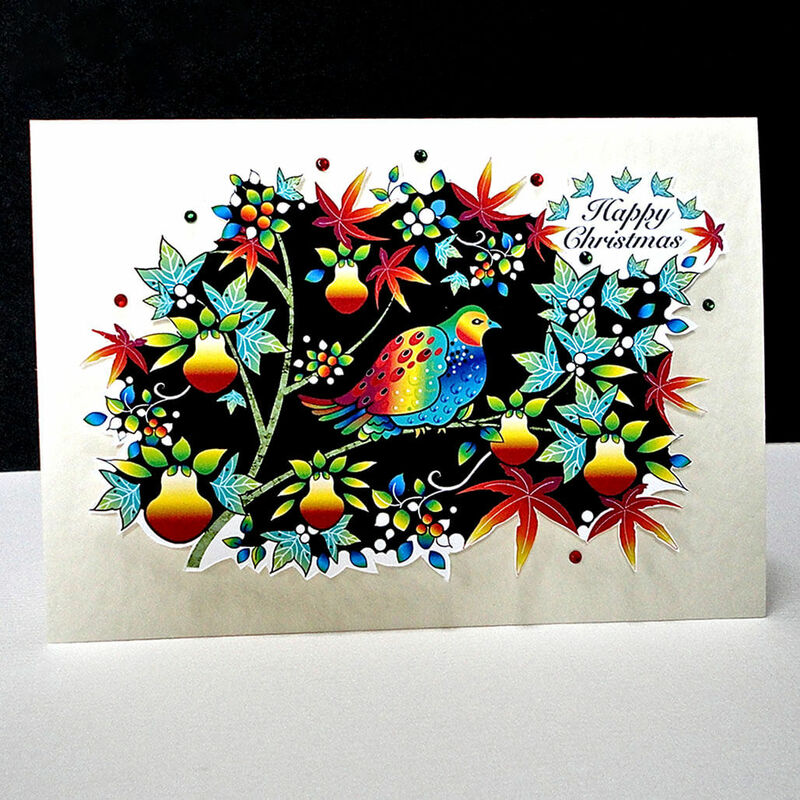 This stunningly colourful scene is printed on white, hand-cut and mounted on a cream card. 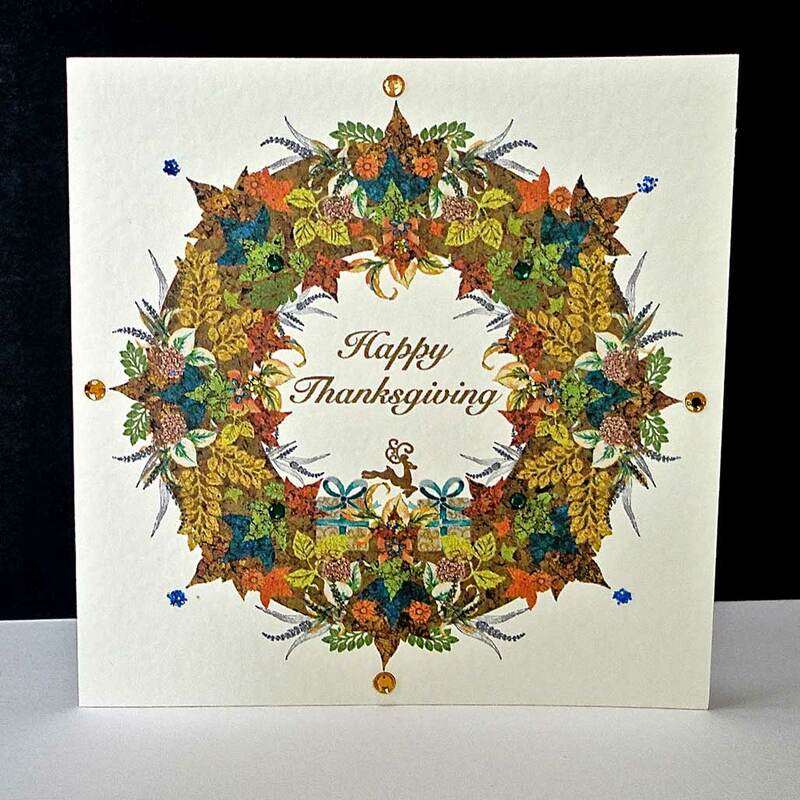 The message Happy Christmas is framed with leaves, and the entire design is highlighted with small red and green glass gems. 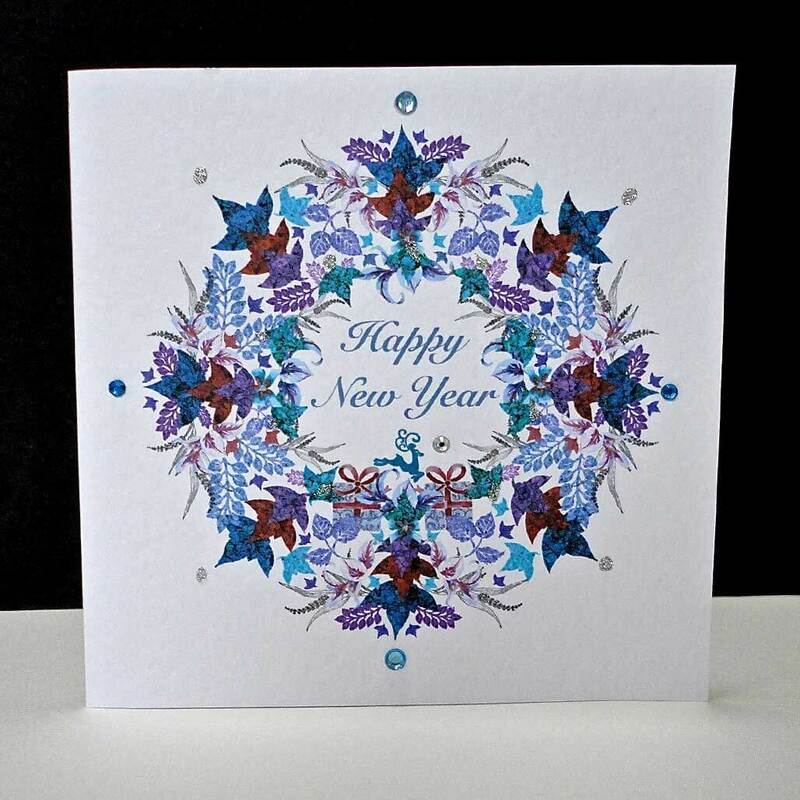 Card size is 150 x 105 mm landscape, cream with matching envelope.